The announcement came in light of potential construction plans at Belmont Park that could disrupt the track's spring meet. The New York Racing Association (NYRA) announced today, February 7, that the summer meet at Saratoga Race Course would be extended from seven weeks to eight, beginning on Thursday, July 11 (instead of the original start date of July 18) and running through Labor Day Monday (or September 2). The extra week, however, won’t mean an increase in the total number of live racing days at Saratoga Race Course, which has remained at 40 since 2010, but rather a slightly relaxed schedule of five races per week—Wednesday through Sunday—instead of the usual six. 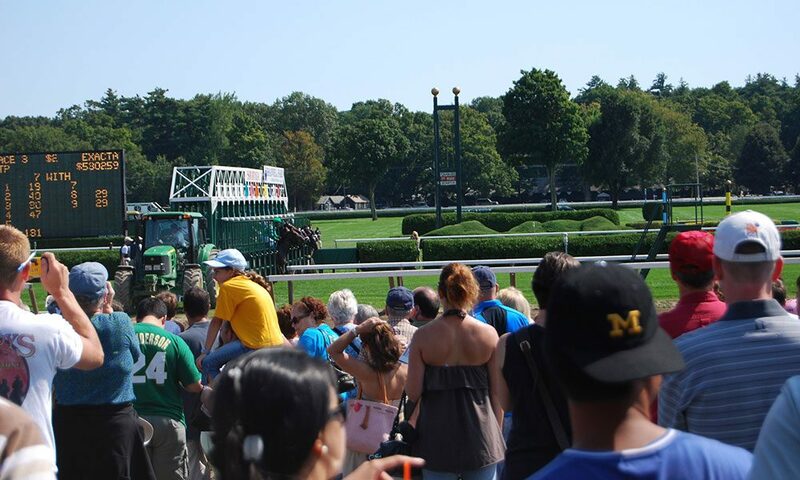 In addition to the adjustment made in Saratoga’s racing schedule, NYRA also announced a shortened 48-day meet for Belmont Park, down from last year’s 54 days, which will begin on Friday, April 26 and run through Sunday, July 7. The reason for the change in the two parks’ spring/summer schedules is to accommodate the possible construction plans of a new arena at Belmont for the National Hockey League’s (NHL) New York Islanders. Based on timelines presented by Empire State Development (ESD) and the New York Arena Partners (NYAP), construction of the proposed NHL arena could begin as soon the second quarter of 2019, potentially disrupting morning training and afternoon racing during the Belmont meet. Ultimately, NYRA decided to cut back on the total number of racing days at Belmont to protect its backstretch community of athletes, trainers and horses from the effects and inconveniences of nearby construction. Tickets for the 2019 Belmont Stakes went on sale back in January, and NYRA plans on issuing the full stakes schedules for both Belmont Park and Saratoga Race Course soon.